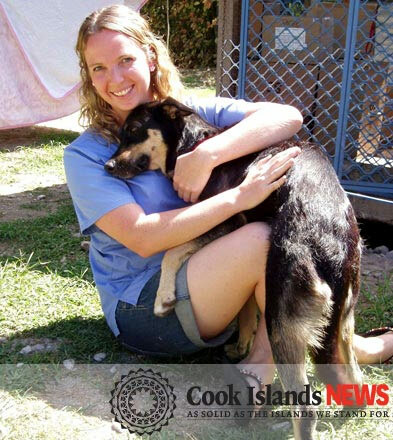 New practice manager at pet clinic Rarotonga’s pet population is in even safer hands with the arrival of veterinarian Jess Moore-Jones who has taken up the new role of practice manager at the Esther Honey Foundation Animal Clinic in Nikao. Moore-Jones is now working alongside Esther Honey’s clinic director Gregg Young and the nine volunteers at present. In a few weeks Moore-Jones’ work will begin in earnest when the clinic’s volunteer numbers drop to two (When the rest of the team is on a EHF VET TREK to Aitutaki). Moore-Jones arrived in the country a week ago and has since been exploring Rarotonga from her base at the Nikao clinic. She has visited the island once before – in 2000 – for a family reunion with her uncle and former New Zealand High Commissioner to the Cook Islands Rob Moore-Jones. Since then Rarotonga has changed a lot but is still a beautiful, friendly place, Moore-Jones says.